Esta entrada fue publicada en General el 28 septiembre, 2014 por Luis Miguel Berscia. Estuve ausente por varios años de la redacción de este blog; sin embargo, dada mi lontanía y amor por la escritura he decidido retomarlo. Tengo ya pensadas algunas entradas nuevas para el blog sobre lenguas sudamericanas con las que trabajé durante mi licenciatura, en la PUCP, y mi maestría, en la Universidad Radboud de Nimega. Por mientras y para que nos vayamos actualizando, les dejo una entrevista que me hizo el reputado filósofo Vícto García-Belaunde en el programa La Manzana Prohibida de la Sociedad Secular y Humanista del Perú con la siguiente moción: ¿Es la lingüística una ciencia?. 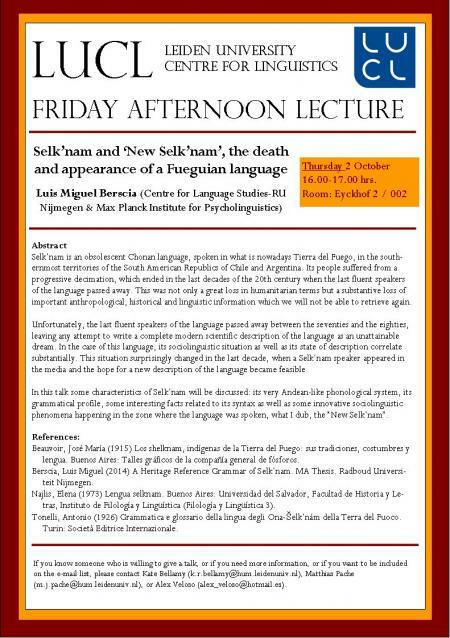 Accompanying us today is Luis Miguel Rojas Berscia, a linguistics student who happens to be a known polyglot and an important representative of the Universal Esperanto Association. He is barely 21 years old and is already teaching Chinese at the Confucius Institute in PUCP University. So Luis Miguel, I am sure people ask you this a lot, but how many languages have you happened to learn fluently? That happens to be a very difficult question due to the fact that it is pretty uncertain when someone really knows a language. I speak fourteen languages, but I wouldn’t be sure to say I speak all of them fluently. This group includes Spanish, English, French, Italian, Esperanto, Chinese, Romanian, German, Portuguese, Piedmontese, Quechua, Latin, Catalan and Classic Greek. At least I can deal with almost any type of conversation and texts in those languages, but, as I usually say, there’s still a big path to follow so as to achieve complete fluency. I also have some knowledge of other nine languages, Sanskrit, Icelandic, Frisian, Japanese, Korean, Galician, Ligurian, Paleo-Babylonian and Russian, which I am trying to improve this year. People sometimes think I’m crazy, but I just think it is a matter of hobbies. How and when did this passion for languages begin? Since I was born I had contact with three languages, Spanish, Italian and Piedmontese. By the way, Piedmontese is a language spoken in North Italy, region of Piedmont. Italians tend to consider it a dialect; however, it’s a language in all senses. That was really an advantage because I was able to understand more than one language since very young. When I was at kindergarten I had always some type of curiosity towards the difference between languages. I remember once I was talking to my mother when I was three years old. She was looking at a world map in a world atlas. I remember me asking her about our language and where it was spoken. After she told me our language was called Spanish and we lived in Peru, I started to ask her about other places and their languages. I was fascinated! I really wanted to learn all of them. I told her one day I was going to learn all those languages. It was some kind of promise. She obviously laughed thinking it was just a joke, but maybe she thinks till now I’m a spoiled kid trying to fulfill an impossible promise, haha. However, nothing of this would have been possible without the constant help and support of my grandma. She always pushed me forward so as to continue in this difficult game. One thing I will never forget is the fact she taught me Piedmontese. It was a very important nexus with my ancestors. It has come to our attention that you’ve been asked to speak both in book fairs and radio programs. How did it feel to stand in front of interested people and know that you would be heard by thousands if not tens of thousands of people in Peru? Sometimes people come by and say: Hey! You are the polyglot! I don’t like that. I’m Luis Miguel and that’s all. Maybe afterwards we can have a coffee and we can speak about languages and so on. However, it feels great when people appreciate what you, as a person, do. I have great experiences regarding that issue. Thanks to these languages I learnt a lot about people around the world, but the most important thing is I met lots of people which became great friends and very patient language teachers. I remember Mr. Wu, Mr. Sorin Rîpă and Mr. Rainer Grimm teaching me Chinese, Romanian and German respectively. They were great teachers and I learnt a lot about language and life thanks to them. Have you at some point felt the need of taking a break from learning languages? Or have you ever confused one language with another? No. If that happened, it would be because I’m sick, haha. Of course I like doing other things. However, as I told you before, learning languages is my passion and I love doing it. Fortunately I have not confused languages yet, and I hope I won’t. It’s something many people ask. I think the most important thing is focusing on the language you are speaking in that precise moment. I remember once speaking with friends from Germany, the USA, France and Peru at the same time. They said something at once in their own languages. I was really confused, but not in the sense of mixing languages, but in the sense of not understanding even a word! I felt completely blocked! I felt I could not even utter a word in Spanish, haha. What plans do you have for when you finish your bachelor studies? Perhaps a Master’s degree? I want to continue with my Master’s degree at PUCP but since my major interests are Historical Linguistics and Typology I’m planning to go abroad. Thanks to my faculty teachers, I developed some kind of interest towards the origin of language. I think the best way to know how that cultural phenomenon called language works is learning as many languages as possible. And finally, to wrap up this interview, what thought or advice would you like to share with our readers and perhaps even with other fellow linguists? My life’s passion is learning languages, but maybe it goes far beyond that, due to the fact I’m a linguistics student. I love language per se. I think people should do what they want to do in life. I pursued my passion and I’m still doing it. Nevertheless, there is one thing I’d like to mention before we run out time. 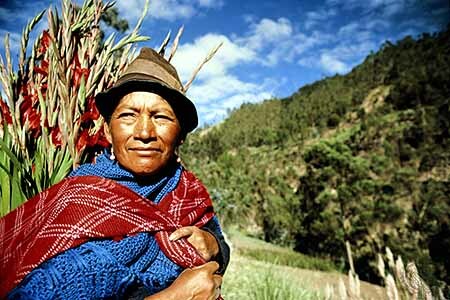 Peruvian society (or maybe Lima or coastal Peru society) is mostly monolingual. I think Peruvians should try to learn other languages. That would be the best way to understand other cultures and learn from them. One thing which is really astonishing is many Peruvians ignore the existence of a vast linguistic richness in the Andes and the Amazonia. Maybe we should try to preserve those languages and, why not, learn them. Many problems could be prevented if we knew those languages. Thanks to the Fieldwork course at PUCP I’m learning some Awajun and I’m planning to do fieldwork in the Amazon this summer, so as to study the Shawi language. It may sound crazy, but doing what you like is the best path towards happiness and self-achievement. 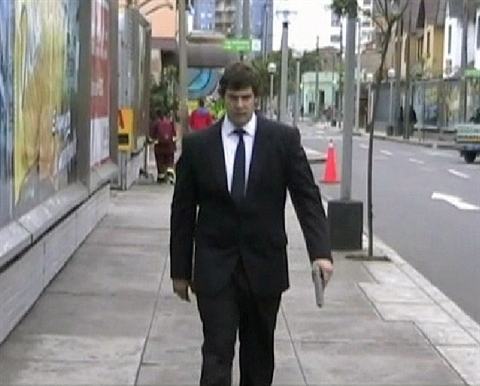 Esta entrada fue publicada en General el 4 diciembre, 2011 por Luis Miguel Berscia. Mi aŭdis de multaj personoj ke la tiel nomata internacia lingvo, Esperanto, jam mortis antaŭ delonge, kaj, fakte, oni nek scias kiam ĝi estis kreita. Kiel ĉiuj lingvoj de la tero, kaj eble la universo, Esperanto estas vivanta lingvo. Oni skribas librojn, kanzonojn, poemarojn kaj kantas ĉiutage. Ni vidu tiun belan kanzonon, kantita de esperantista kubano Julián Hernández, “Tiel la mondo iras”, aŭ angle ” That’s the way the world goes”. “Tiel La Mondo Iras” – a song in Esperanto from Utopia on Vimeo. Esta entrada fue publicada en Esperanto el 14 febrero, 2011 por Luis Miguel Berscia. Kanan, ñuqanchikpa llaqtanchikpi, hatun sasaruwaymi kachkan: achka runa kanku, manam atiq kastilla simi rimay. Paykunaqa anchatam yachayta munanku, yachanayachkan, ichaqa, yachay wasikunapi, yachachiqkunaqa manapas runa simi rimayta atinkuchu. Manam chayqa kechwa runakunallawanchu, sapa llaqta, manam kastilla simi rimay atiq, mana allin idukasiyunniyuq. Simi kamayuqkunamantaqa, kay sasaruway ancha hatunpas, llasapas llaqtanchikpaq. Sapa runa allawkayuqmi yachaypaq, ichaqa ichapas manam gubirnunchikpaq aswan allinchu, llakinas. Qayna simana, feyisbukpi bideyuta qawarqani iskay simipi idukasiunmanta. Ancha sumaq karqa. Anchatam gustarquwan, huk yachachiq Italiamanta hamuq huk simita, aylluypa rismasqanman riqchakuq, yachaqkunawan rimarqa rikuchinanpaq imayna Andispiwan, Amasunaspi, yachay wasikunapi wawakunaqa manam intindinkuchu. Pay karqa kastilla simi rimaqkunawan. Hinaspa, wakmanta achka wawakunaqa willakurqaku paykuna, yachachiq kastilla simita yachachinanpaq rimaspan, manam imatapas intindinkuchu, paykuna manam kastilla simita rimasqankurayku. Paykuna, Piruwhina huk llaqtapi, maypi achka simikuna rimaq kasqanpi, kikinkupas siminkupim yachananku imatapas. Qayna killa, chunka hukniq simi kamayuqpa rimanakunpi, huk kechwa runa, Gavina Córdova nispa, chaymanta rimarqa. Payqa willakurqa Limapi runakuna amutanku kechwa runakuna upa kasqankuta, manam rimayta gustarqakuchu, ichaqa manam chiqapchu. Paykunaqa chaynam kanku, manam paykunapa siminkuta rimasqankurayku. Hankapi achka yachachiqqa manam munankuchu yachaqkuna runa simi rimananta. Paykuna ninku chay simiqa upakunapaq, wawakunapaqtaq. Manam hatun umayuqchu kanku. Manam yachankuchu sapa simikunaqa hatun kulturayuqwan, istoriyayuq kasqanta. Sapa piruwanuqa yuyasqankutam qunanku. Iskay simipi idukasiyunqa ancha allinmi llaqtanchikpaq. Ñuqanchik intindinanchik lliw piruwanuqa manam kastilla simillata rimanchu. Achka simi kachkan. Sapa rimaq yachanan llaqtanchikta wiñachinanchikpaq. Ñuqa amutani simi kamayuqkuna runa simita/kechwa simita yachanaykuta. Hinaspataqmi, ñuqayku wak yachay wasikunapi yachachiyta atisaqku. Esta entrada fue publicada en Runa simi el 13 diciembre, 2010 por Luis Miguel Berscia. Hace casi ya seis meses terminó el curso de Lingüística general con el maestro Mario Montalbetti. Aquí les presento el final que escribí. Espero les guste. El Saussure del “Curso de Lingüística General” nos habla de la existencia de un signo compuesto por un significado y un significante, los cuales él llama repetidas veces “concepto” e “imagen acústica”; sin embargo, la unión que existiría entre ambos antes mencionados sería simple cuestión de arbitrariedad, pues el hecho de que esté compuesto por una imagen acústica no corresponde de ninguna manera al hecho de que esto se trate de una simple asociación de fonemas distinguibles psíquicamente, lo cual es bastante observable en las diferentes lenguas y cuán diferentes fonéticamente son distintas palabras que “designan” a cierto concepto. Vale la pena recalcar que hago uso del término “designar” no en el sentido de apuntar a cierto objeto en la realidad, sino, por el contrario, de alguna forma, de plantear que este signo es independiente de la realidad y, si es que existen asociación tales, son puramente cognitivas. 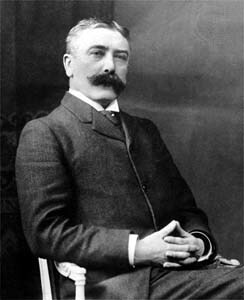 En el extracto: “El español carnero o el francés mouton pueden tener la misma significación….” (F. de Saussure, Curso de Lingüística General, Parte II, Cap.IV, sección 2. ), expuesto en el examen, vemos cierta presentación del tipo descrito en el párrafo precedente. Si uno se ciñe a Saussure de manera estricta, se puede afirmar que estamos ante el significante carnero, pues se está refiriendo directamente a la realización castellana. Esto se hace explícito al comparar con las demás lenguas. En este pasaje, a modo de ayuda, hay ejemplos en tres lenguas distintas: inglés, español y francés. El significado saussureano sería esta suerte de concepto que todos los hablantes de una lengua tenemos en nuestra cabeza al referirnos a un cordero. Es así que podemos afirmar que en el pasaje para el significado “cordero” hay tres significantes, los cuales son sheep, para un anglófono, cordero, para un hispanófono, y mouton, para un francófono. Es importante agregar aquí lo que menciona el Saussure verdadero-no el citado-en sus escritos. Allí habla del signo como aquella unidad que es imposible de explicar solo con uno de los términos, o sea significante o significado, es en sí una unidad compleja o como dice: « Où est “LE SIGNE” dans la réalité des choses? Il est sous notre front, et sa nature (matérielle ou immatérielle, peu importe) est COMPLEXE; se compose ni de A, ni même de a, mais désormais de l’association a/b avec élimination de A, aussi bien qu’avec impossibilité de trouver le signe ni dans b ni dans a pris séparément » (F. de Saussure, Écrits de linguistique générale, Parte III, Cap. I, sección 2). En el extracto del Curso, Saussure emplea el término “significación” en la primera línea del texto. Ciñéndome estrictamente a lo que él plantea en el curso esto es correcto, pues los postulados que le siguen sí se desprenden de los planteado al principio del tratado; sin embargo, al leer que Saussure trata a este término tal como trata a la contrapartida de la imagen auditiva, o sea, al significado, no nos queda más que pensar que se tratarían de lo mismo. No obstante, al leer un poco más detenidamente el texto, me doy cuenta que Saussure intenta tocar el tema de la significación como aquella “capacidad” de cierto signo de poder ser cambiado por tal o cual concepto, siendo la significación dependiente del valor y viceversa. Así, por ejemplo, el caso de sheep y mouton nos esclarecerían esta confusión, puesto que podrían ser intercambiados el uno por el otro por más que pertenezcan a sistemas diversos. Se trataría entonces de términos cuasi equivalentes, obviando, por supuesto, las pequeñas diferencias semánticas que cada término carga consigo y, por consiguiente, ambos significantes tendrían la misma significación, mas no el mismo significado. Se trataría entonces de una suerte de relación de ida y vuelta entre conceptos. De otro lado, cuando en castellano decimos que queremos cordero en el supermercado, recibimos un trozo de carne y podemos pagarlo en la caja. Lo mismo sucede en un contexto francófono; sin embargo, en inglés esto no es así. Necesitamos de otro término para hacer efectivo nuestro pedido, mutton y no sheep. Podemos inferir así que el valor de sheep, mouton y carnero no es el mismo. Si es que habláramos en términos cuantitativos descuidando un poco lo explicado por Saussure después, podríamos afirmar que “más cargadas de valor” estarían las palabras castellana y francesa, pues no solo se referirían al concepto de animal, sino también al de la carne que se compra u obtiene. En el extracto, pareciese que la diferencia de valor solo se pudiera percibir al comparar términos de sistema distinto; no obstante, tomando lo discutido en clase y lo que plantea Saussure en su Curso, es necesario para que exista un valor también el hecho de que al término se le pueda comparar con un valor similar del mismo sistema. Así entonces para que mutton tenga valor y sheep también ambas tienen que existir y es de esta desemejanza dentro de su mismo sistema que podemos hablar de un valor poseído por ambas. Entonces, podemos afirmar que se necesitan dos factores para que exista valor: la desemejanza susceptible al cambio por otra cosa cuyo valor se determina después y la similitud que se puede comparar con aquella cuyo valor está en cuestión (F. de Saussure, Curso de lingüística General, Parte II, Cap. IV, sección 2). En conclusión, con nuestro pequeño fragmento sí podemos deducir que la diferencia de valor se percibe también entre términos de un mismo sistema, pues se nos da el ejemplo claro de mutton y sheep y, sin ir muy lejos, podríamos comparar también a estos términos con otros términos del inglés, los que nos ayudarían a determinar asimismo qué valor tienen éstos en base a la diferencia. 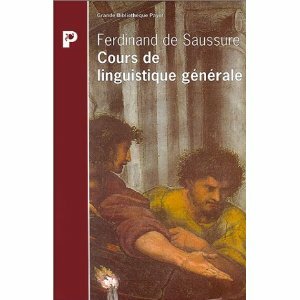 En respuesta a la última interrogante del examen, es importante remarcar lo siguiente dicho por Saussure, « Il faut reconnaître toutefois que valeur exprime mieux que tout autre mot l’essence du fait, qui est aussi l’essence de la langue, à savoir qu’une forme ne signifie pas, mais vaut: là est le point cardinal. Elle vaut, par conséquent elle implique l’existence d’autres valeurs » (F. de Saussure, Écrits de linguistique générale, Parte I, Cap. III, sección F). El precio de una manzana que está a un sol, sin embargo, no es el valor de la manzana, pues el dinero en sí no tiene el mismo valor que los términos de la lengua o cosas que vemos en la realidad. El precio vendría a ser solo el reemplazo de la manzana o cualquier otra cosa por otra cosa, mas esto no significa que ambos tengan el mismo valor. Tampoco podríamos decir que el precio es el equivalente al significado, puesto que una cosa seguirá teniendo un significado particular independientemente de la existencia de un precio o no. El precio es, en todo caso, una “valoración” de cierto objeto según el sistema económico capitalista actual, mas no el valor del mismo, tomando como base al valor lingüístico de Saussure. El dólar y el sol pueden ser equiparables, pues se refieren a lo mismo en sistemas diferentes; sin embargo, cierta cantidad de los mismos, o sea el precio, nunca podrá determinar el valor lingüístico, psicológico o cognitivo de un término o cosa, puesto que se trata de conceptos completamente diferentes uno de otro y que solo empiezan a contraponerse al existir un sistema económico como el nuestro, en donde el cambio de un sistema a otro es necesario para obtener lo que se quiere. Esta entrada fue publicada en Español el 11 diciembre, 2010 por Luis Miguel Berscia. Esta entrada fue publicada en General el 8 noviembre, 2010 por Luis Miguel Berscia. Cuando anticipé la publicación de los artículos acerca de las lenguas del Perú, mencioné que trataría el tema del “emporio lingüístico” que existe en nuestro país. Sin embargo, creo importante también mencionar algunas lenguas de países vecinos, pues, como muchos saben o han leído, compartimos miles de años de historia. El Tahuantinsuyo sirvió de nexo entre muchos pueblos y, gracias al mismo, a la llegada de los españoles, se encontraron muchas lenguas en contacto con la llamada “lengua del Inga”. A continuación presento algunas de las lenguas perdidas del Ecuador, las cuales, a falta de material lingüístico, no han podido ser estudiadas con mayor detalle y detenimiento. Valdría la pena que las futuras generaciones de lingüistas ecuatorianos apostasen por la investigación, para así tener un poco más de datos sobre estas lenguas que “piano piano” se están quedado arrimadas en la pila del olvido. La clasificación siguiente está hecha en base a los apuntes de clase del curso de Lingüística Andina, dictado por el Dr. Rodolfo Cerrón Palomino, admirable profesor, a quien siempre se le agradecen sus críticas y comentarios. Actualmente en las provincias de Imbabura, Pichincha, Cotopaxi, Tungurahua, Bolívar, Chimborazo, Cañar, Azuay y Loja se habla quechua. Allí es más conocido por el nombre de “Quichua”. Esta lengua pertenece al grupo quechua IIA, según la clasificación elaborada por antropólogo y lingüista, Alfredo Torero, en 1964. 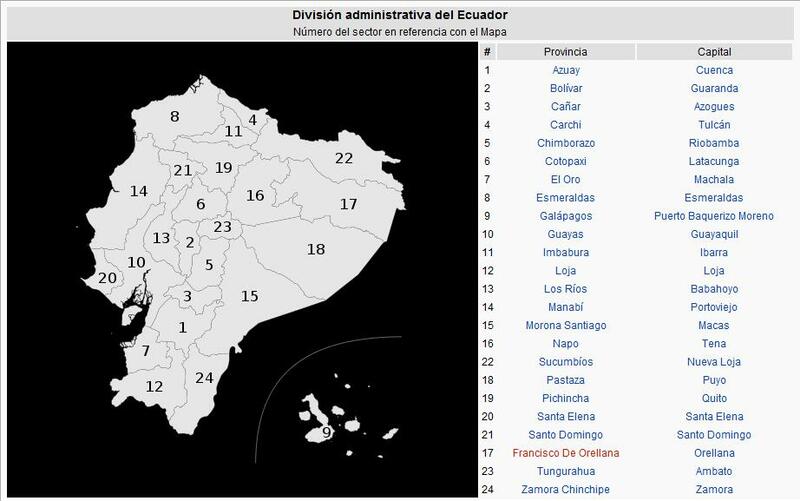 En estas provincias era donde se asentaban los grupos étnicos pasto, cara, panzaleo, puruhuar, cañar y palta. Vale la pena mencionar en este apartado que todas estas lenguas, incluida la quichua, tienen el mismo valor. El estar muertas, haber sido habladas por pueblos “menores” o no contar con documentación no implica que las debamos dejar de lado; por el contrario, su investigación es necesaria, pues nos permitiría deslindar a futuro algunos asuntos aún misteriosos en el terreno de la lingüística andina. 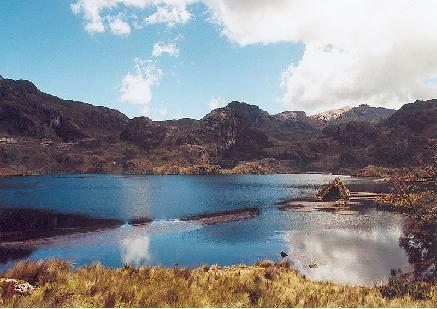 1)	La lengua de pastos y quillacinga (en parte de la provincia de Imbabura y en la provincia de Carchi). -La traducción del catecismo de la fe católica a esta lengua, así como el Confesionario del III Concilio fue encargado a Francisco Jurez y a Alonso de Jerez para la lengua pasto (la de los opa-luna), y a Andrés Moreno de Zúñiga y Diego Bermúdez para la lengua quillacinga (‘los de nariz de hierro’). Es interesante esto de “opa luna” y “quillacinga”, pues el primero en quechua hace alusión a un hombre bobo y, en el segundo caso, a una nariz de hierro. -La terminación típica pastuza, para el caso de la toponimia y onomástica, es el elemento –es, como en Ipial-es, Pupial-es, Tucurr-es, Zacuaip-es, etc. 2)	La lengua otavaleña o cara (en la provincia de Imbabura y Otavalo). -Las terminaciones típicas de esta lengua eran los elementos “-quí”, como en Cochas-qui, Ambu-quí, Cula-quí, Tunta-quí, etc., así como “-buela”, como en Chimba-buela, Mulle-buela, Imba-buela, etc. -Cieza de León decía que “estos de panzaleo tenía otra lengua que las de Caranque y Otavalo” (Cieza de León, 1553). -La teminación más común de esta lengua era el elemento “-sí”, como en Alao-sí, Alanga-sí, Longa-sí, etc. -Gabriel Minaya fue el encargado de traducir el Catecismo y el Confesionario. -Las terminaciones típicas de esta lengua son “-ló”, “-lema” (en apellidos de la zona) y “-cela”, como en Tagua-ló, Tiha-ló, Mulahua-ló, Saqui-cela, Vaca-cela, Teni-cela, etc. -Gabriel Minaya también fue el encargado de traducir el Catecismo y el Confesionario. -Las terminaciones típicas en esta lengua son: “-deleg” ~ “-dilig”, como en Chor-deleg, Zhindi-lig, Quitig, Guapolon-deleg (la llanura que parece el cielo), etc. -Se sabía que diferían en algo; sin embargo, eran mutuamente inteligibles. -Como decía el maestro Cerrón Palomino, quién sabe si de ahí viene el nombre de nuestra tan conocida palta. -Jijón y Caamaño y el General Paz y Miño se ocuparon de estos temas lingüísticos; no obstante, ninguno de ellos había recibido la adecuada formación en lingüística comparativa, por lo que sus trabajos, en boca del profesor Cerrón, es de gente aficionada. -Una anécdota interesante es que en la isla de Puná murió el primer obispo del Perú, el obispo Valverde. Dícese que se lo comieron los indios de lampuna; de ahí se les conoce como los come-obispos. Empero, hay que tomar esta anécdota o mito con mucho cuidado, pues no podemos afirmar que sea del todo cierta. De lo contrario, se aceptan comentarios. Todas estas lenguas se están quedando en el olvido. Es necesario ya sacar la mochila, viajar por esos lares e intentar encontrar algún rastro de esas lenguas, ya sea en el quichua en forma de sustrato, en el español ecuatoriano de las respectivas zonas, o en los documentos coloniales. ¡Qué hermosa noticia sería el saber que uno de aquellos confesionarios que se dicen elaborados en aquellos tiempos fuese encontrado por algunos de nosotros en los próximos años! Nunca hay que perder aquella chispa de lingüistas entusiastas, la cual ha llevado a muchos de nuestros maestros a lograr grandes hazañas en nuestro terreno. Espero que les haya gustado este aporte, basado en uno de mis resúmenes de clase. El próximo artículo versará sobre las lenguas de la costa norte peruana, en especial, en lo que toca a las lenguas tallana, olmos y sec. ¡Hasta pronto! Esta entrada fue publicada en Español el 23 julio, 2010 por Luis Miguel Berscia. Después de una larga ausencia en el terreno del escenario, decidí volver a actuar para un corto dirigido por mi gran amigo, George Schofield. Los invito a verlo y criticarlo. Si les gusta, pueden votar por el corto. Estamos participando en un concurso organizado por Terra. ¡Diviértanse! Esta entrada fue publicada en General el 21 julio, 2010 por Luis Miguel Berscia. Mi blog antiguamente se llamaba TutmondaPordo, pues seguía una línea “esperantista”. Después de un esforzado y continuo análisis de aquel ideal y la comparación de la lengua esperanto con otras lenguas más alejadas del medio europeo, como las amerindias, he decido dejar el movimiento esperantista y ser simplemente, como lo he venido siendo todo este tiempo, un curioso estudiante de lingüística, cuyos artículos versarán sobre la diversidad lingüística en nuestro país, en el exterior, el esperanto visto desde una perspectiva lingüística y personal y, finalmente, algunas anécdotas mías en el aprendizaje de lenguas extranjeras. Por supuesto, tratándose de mi pasión, continuaré escribiendo en otras lenguas para mostrar mis puntos de vista a personas que las hablan y, aunque a muchos no les guste, continuaré escribiendo mis acostumbrados artículos en esperanto. Hay que recordar que el esperanto fue un excelente intento de lengua internacional, sin dejar de lado, por supuesto, aquel bello ideal que trae de fondo. Es una pena que actualmente se haya transformado en el pasatiempo de personas a las que solo interesa usarlo para fines divertidos. Hay que recordar que quien verdaderamente se llama esperantista no es quien dice hablar solamente esperanto, sino quien lo aprendió porque reflexionó sobre los problemas actuales de comunicación internacional y que vio en el esperanto una posible solución a estos. No quiero que los esperantistas me tomen como enemigo. Sin duda, continuaré apoyando a muchos esperantistas amigos, pues, al fin y al cabo, a algunos aún nos une el mismo ideal. Hice algunos comentarios algo subidos de tono, por lo que pido disculpas si ofendí a algún esperantista con los mismos. Solo presenté algo de indignación ante lo que veía en el mundo y traté de expresarme lo más sinceramente posible. No quiero que piensen que se trató simplemente de un lance soberbio y orgulloso a la(s) asociación(es), pues mi intención fue otra. Siempre hay que revisar constantemente lo que hacemos y, sobre todo, tratar de quitarnos de la cara aquel obstáculo que nos trae el fundamentalismo y el entusiamo. En cambio, no hay que quitarnos nunca aquel espíritu curioso que trae consigo nuestra alma humana; de lo contrario, nos convertimos en autómatas, dejamos de pensar y olvidamos la siempre importante autocrítica. Espero que se comprendan mis nuevos ideales y opiniones. Un gran saludo. Ĝis revido! Esta entrada fue publicada en General el 9 julio, 2010 por Luis Miguel Berscia. Despre o limbă interesantă şi îndepărtată.